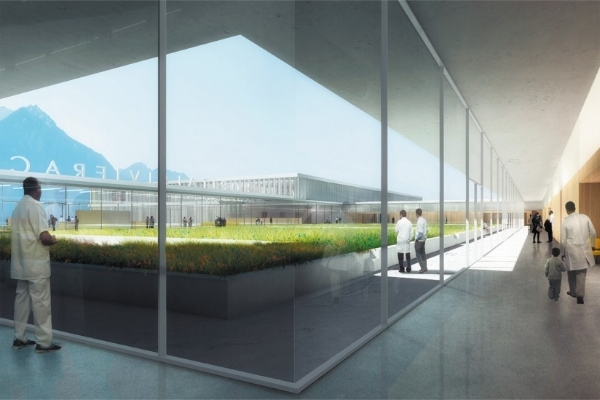 Switzerland's Hospital Riviera-Chablais selects Xecan’s FaceID cutting-edge smart technology to Improve Patient Identification and workflow management. Facial recognition technology has proven to be more accurate and ready for main stream use over the past few years. One of the notable applications is Apple’s facial recognition that was released with its cutting-edge iPhone X, replacing the Touch ID for user identification. In healthcare, facial recognition is also an emerging trend for identifying patients, improving clinic workflow and increasing patient satisfaction. Compared to other forms of identification, facial recognition is easier to use, and functions in a way that is more natural for patients. Xecan’s FaceID is designed to be easily deployed in various environments, such as clinic reception areas, emergency Rooms, radiation treatment rooms, laboratories and chemo chairs. Within a few seconds in front of the Xecan station, patients are automatically identified and communicated to MOSAIQ, ARIA or an EPIC EMR system for the purpose of pulling up their medical records. Xecan’s facial recognition implements a face localization algorithm based on an advanced multilayer neural network. Highly accurate results can be obtained with complex illumination, expressions and head rotations. The algorithm uses over 60 facial match points and facial live stream analysis, and is, therefore, highly reliable. A remarkable feature of Xecan technology is that it uses just a regular web camera with modest resolution of 1024x768 pixels or a regular mobile phone. After years of evaluating competing technologies, Hospital Riviera-Chablais selected Xecan’s FaceID for queuing patients into Mosaiq, patient verification in the treatment room, along with verifying the patient’s treatment accessories. The reason for Xecan’s selection was that Xecan is very easy to use and Xecan is an Elekta VIP technology partner. Xecan’s patient queuing and patient verification is fully integrated with MOSAIQ and verified through Elekta’s VIP protocol. Therefore, the Xecan solution will be compatible with future MOSAIQ releases.